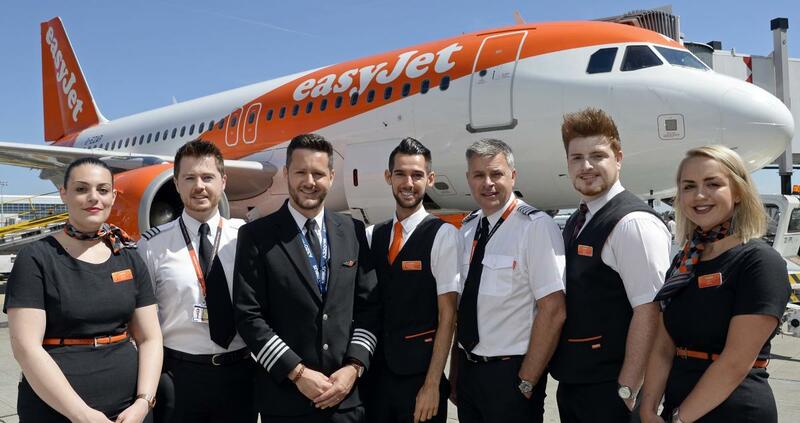 LUTON, England, 2018-Jul-02 — /Travel PR News/ — easyJet, Europe’s leading airline, has celebrated the launch of two new summer routes from London Gatwick to Volos in Greece and to Ancona in Italy. The addition of the new routes means that easyJet customers in London and the south east will be able to enjoy direct flights to an even greater variety of destinations from this summer. Tickets are now on sale at www.easyJet.com with to fares to Ancona starting from £32.76* and fares to Volos starting from £50.94*. “We’re delighted to launch flights from London Gatwick to Volos and Ancona and to celebrate two brand new destinations joining the easyJet network. “The UK’s only direct service to Volos, and twice-weekly flights to Ancona, are both very exciting additions to Gatwick’s extensive short-haul network for the summer. “These stunning, untapped destinations are inspired choices for a summer break, and it’s fantastic that our passengers can now reach them direct from Gatwick. easyJet is the largest airline at Gatwick airport and offers 110 routes, both domestic and international. The airline has flown over 171 million passengers since it launched operations from London Gatwick almost 20 years ago and over 18 million passengers in FY 2017.
easyJet is Europe’s leading airline offering a unique and winning combination of the best route network connecting Europe’s primary airports, with great value fares and friendly service. easyJet flies on more of Europe’s most popular routes than any other airline. easyJet carries over 82 million passengers annually, of which more than 13 million are travelling on business. easyJet flies 298 aircraft on more than 980 routes to 156 airports across 33 countries. More than 300 million Europeans live within one hour’s drive of an easyJet airport. The airline takes sustainability seriously. easyJet invests in the latest technology, operates efficiently and fills most of its seats which means that an easyJet passenger’s carbon footprint is 22% less than a passenger on a traditional airline, flying the same aircraft on the same route. Innovation is in easyJet’s DNA – from our launch over 20 years ago when we changed the way people fly to the present day where we lead the industry in digital, web, engineering and operational innovations to make travel more easy and affordable for our passengers. This entry was posted in Airlines, Airports, Flights, Holidays, Travel, Travel Services, Travelers and tagged Ancona, easyJet, Greece, Italy, London, Sophie Dekkers, Stephen King, summer service, summer2018, Volos. Bookmark the permalink.